A ten mile dirt road is the “Gateway to Adventure” at Elk Mountain Ranch in Buena Vista, Colorado. 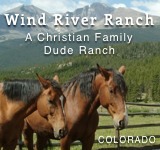 At 9,600 feet, it’s Colorado’s highest elevation dude ranch, and they’re adjacent to Browns Canyon National Monument. Rodeo Week, September Adult-Only Weeks, and Family Reunion Specials are special weeks set aside each year that contain added fun for guests. Their award winning Children’s programs (The Buckaroo’s) is available for children between the ages of 3 and 7. 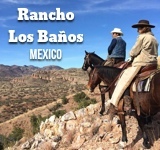 This secluded ranch houses up to 30 people so the stays here are comfortable and intimate. 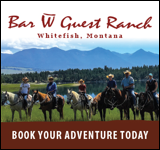 A sample of the weekly schedule is available prior to arrival and includes activities such as square dancing, white water rafting, volleyball, candlelit dinner, luncheon trail rides and, of course, horseback riding. The town of Buena Vista is the home to the largest collection of 14,000 peaks in the lower 48 states and is also the ‘white water’ capital of Colorado. Van trips to Aspen (2hrs away) are also offered. 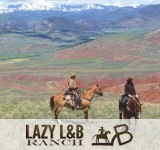 If dreaming of the best of both worlds, Elk Mountain Ranch has it.